Sutton Clean, Patio Cleaning Team specialise in all types of hard surface cleaning for both domestic and commercial customers throughout the West Midlands, Staffordshire & surrounding areas. 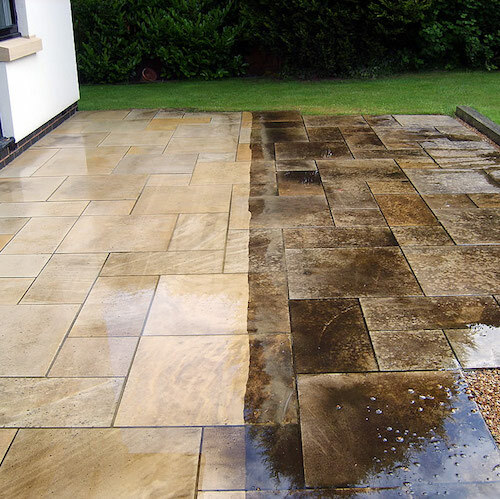 Using our expertise we can successfully remove ingrained dirt, moss, algae, weeds and bring tired looking external hard surfaces back to their former glory. We are a family run business that believe in giving the best possible service for the best possible price. So if your looking to dramatically improve those outside areas without breaking the bank then give us a call on 0800-3579113 or click on the link below for a free no obligation quote.